Harness the creative potential of sound and technology. Cutting-edge practice and industry expertise. Use Arduino hardware in our studios for limitless possibilities to create your sound. Learn from experts who have worked with Drake, Bruno Mars, Paul McCartney…to name a few. Work with live sound in packed gigs. Industry-standard recording studios, production labs, specialist software and hardware, screen and interactive platforms in one inspiring space. Benefit from the latest facilities in recording and broadcast, and apply them to the real world. You'll learn in state-of-the-art recording studios and have access to broadcast rooms. Our fully-equipped media suites mean you can study software and hardware approaches to instrument-making and smart products. Tim as a musician and producer has released albums, EP's and remixes on major labels, received a BAFTA award for interactive sound work and toured internationally as a DJ. His huge range of experience will help you to build a broad range of skills covering every aspect of contemporary music media production. Hear Sam describe his first year on the course during a MIDI controller building workshop. Using cutting-edge technology, you will explore the full potential of working as a creative music technologist. As a composer, performer, sound designer, engineer and producer, you will establish a competitive portfolio of practical projects and experiences. Innovations in software building, hardware hacking, networked technologies and screen platforms allow you to investigate new ideas and creative practices for contemporary media. In your first year, you will learn the foundations of recording and production alongside developing creative approaches to composition and performance. You will gain an understanding of audio theory, studio technology, digital audio workstation production and visual image-making. You will also explore key compositional strategies and technology-focused performance techniques. In year two, you will have the opportunity to work with live sound and broadcast systems, develop studio production techniques, explore sound design and composition for screen media, and investigate the innovative approach of spatial sound. Through the study of emerging technologies and product and instrument design, you will explore programmable software, hardware development and sensor technologies. Your final year focuses on your progression into professional practice and employment alongside a dissertation paper and conference presentation. You will develop your creative specialism in a major, public-facing project that demonstrates engagement with the marketplace. 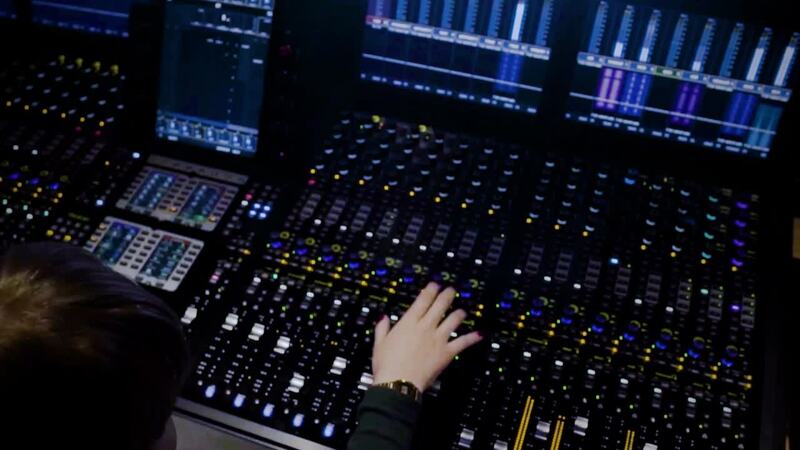 Advanced optional modules allow you to create sound for films, installations and performing arts along with developing professional studio skills and hardware design. Enterprise and business studies enable work placements and the development of a professional network, ready for your career. The practical elements of the degree are underpinned by a critical understanding of the creative and economic potential of sound within contemporary culture. Socio-political and philosophical perspectives continue to evolve your thinking and understanding of technology focused economies. 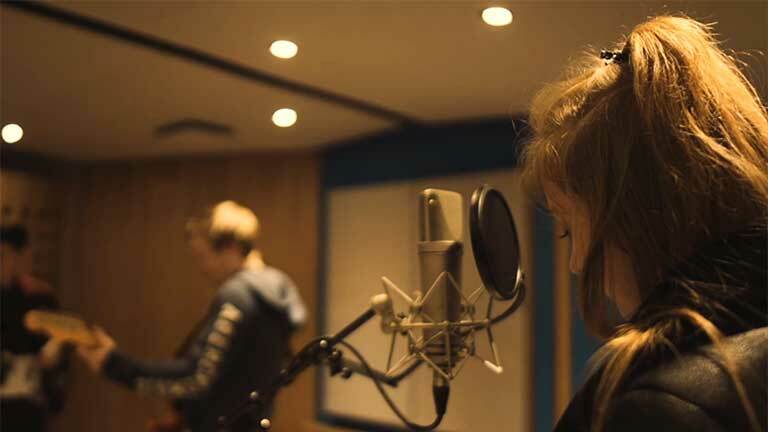 Get Creative Music Technology course updates and hear more about studying with us. Benefit from a mixture of practical sessions, lectures, group work and professional experiences. Assessment is by 100% coursework. Across our music and media courses, students have undertaken work placements with EMI, Universal Music, ITV, Warner Bros and the BBC. They have also worked technical sound roles for local festivals, 2000trees and Wychwood, and work with the Media School’s BBC Introducing broadcasts. Our staff have a huge range of combined business experience including working with the BBC, Universal, Sony, Virgin, Orange and O2. In lectures and workshops, you’ll also hear from professional content creators and taste-makers who tour, record, design and produce music and media projects. Fill in the form below and we'll be in touch with Creative Music Technology updates, upcoming events and everything you need to know about university life.